Austin, Texas is a well-known mecca for music, attracting talent from all over the globe as a result. 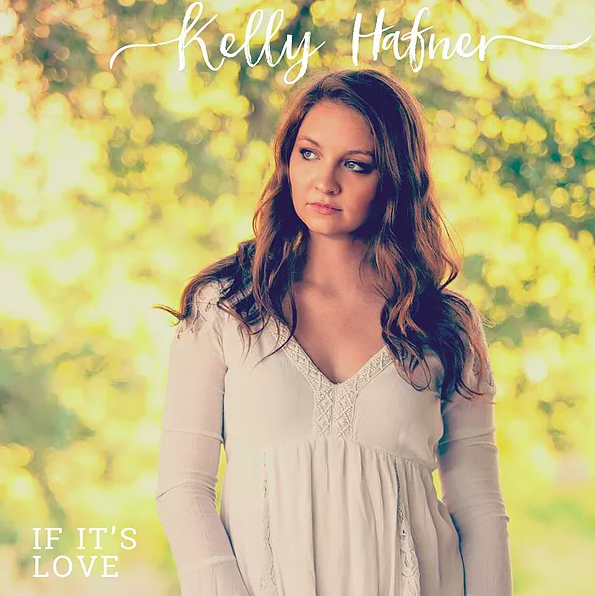 One such up-and-coming superstar is Kelly Hafner, a soulful chanteuse whose impressive vocal range rivals that of mainstream R&B names – both past and present! Migrating to Austin after college from northern California, Hafner has since found a solid foothold in the Austin music scene, teaming up with jazzy players around town to create her debut album, If It's Love, set for release February 22nd off Smokey Jazz Records. The 10-track solo album, recorded at Houston's Edgewater Studios, features Hafner's expressive melodies through the themes of love for others, for God, for oneself and for lessons learned; it's an exquisite journey through the human soul, to say the very least. “Give Light” is soft and subtle, guiding listeners to give love as much as they get it. The title track and lead single off the album surfaced last month, immediately spurring interest in this young, rising vocalist. After its success, Hafner reveals a final taste off the album before its official launch later this month with this single premiere for “Give Light”. With reggae influences, “Give Light” is soft and subtle, guiding listeners to give love as much as they get it. You can never spread enough love! “You are one-of-a-kind”, sings Hafner, so make sure to “give light to your lover's eyes” if they maintain a sparkle in yours. “'Give Light' is a song about unconditional love,” explains Hafner, “the type of love that accepts you for exactly who you are. It's about the love that makes time stop.” Wouldn't that be nice? With a tour to support the album on the way and its release looming in the near future, Hafner is ready to take 2019 by the reigns. Enjoy the sophomore single “Give Light” by Kelly Hafner only on Top Shelf Reggae and make sure to find her music via the links below!